Few situations are more difficult to solve than a child's anger. When it comes to dialoguing with them, here are some recommendations to keep in mind so that things turn out for the best. Communicating with an angry child can be very difficult. When your child has an angry outburst, it’s normally impossible to negotiate or reason with them. Your child’s anger keeps him from listening to whatever you’re trying to say. So, what can you do? Parents often don’t know how to react when their child is angry, much less how to talk to him. When a child gets angry, starts to cry, becomes aggressive or throws something, parents often lose their cool and punish their children severely. Before getting carried away by your child’s tantrum, parents need to heed some important advice provided by the best specialists in positive discipline. 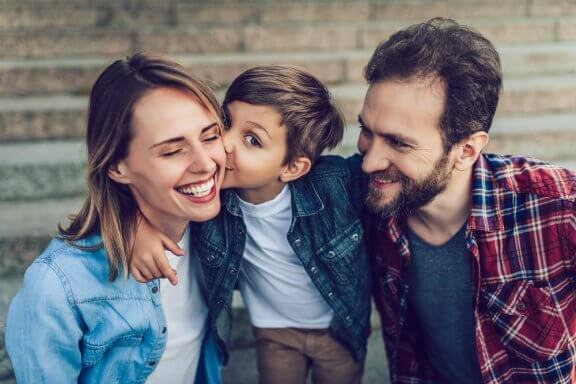 These tips will help you maintain a healthy parent-child relationship and good communication. When children are overcome by anger, parents tend to resort to spanking, yelling, punishment or an authoritarian tone that can come to cause brokenness in the family’s relationship. Children happen to be very intelligent and are able to understand very well what you’re trying to say to them. So then, it’s best to always instil values in our children, like respect and treating others with care. Of course, that doesn’t mean our children don’t need discipline. Teaching our children limits is also a fundamental part of their development. Some people think that spanking and corporal punishment are basic parts of a little one’s education. For them, discipline means placing their hands on their children in order to teach them that something is wrong. But this methodology is far from beneficial for your child’s learning. At an early age, children are full of raw emotion. Logically, they have yet to learn how to control their emotions like most adults can. Therefore, they express their anger and frustration without restraint, often throwing themselves on the floor, kicking and screaming. It’s up to mom and dad to provide an example. You need to maintain control of your own emotions and not react impulsively. Otherwise, your reaction could have negative effects on your child’s emotions and create long-lasting trauma. If you think that constantly yelling at your children will help them control their emotions, you are gravely mistaken. Parents need to be the first to manage their own anger because violent gestures, be they verbal or physical, will only be teaching your children violence by example. Your children are in the midst of their development. They observe how their parents act when angry. So remember, however you manage your own frustration will leave a lasting mark on your child. Doing so will help to ease the tension of the moment and you will have an easier time dialoguing with your little one. If your child is trying to talk to you about what’s bothering her, she might try to express herself by yelling and crying. This may cause desperation. However, stay calm, kneel down to your child’s level, and calmly ask her to explain what’s going on. This will create the right environment for her to feel listened to and cared for. By reacting this way, your child’s anger will start to fade as you offer her solutions to the problem she’s facing. Don’t ignore your child or respond sarcastically. Rather, show interest and express concern. This will allow your little one to respond positively. None of this means giving in to your child‘s every whim or dislike. There needs to be balance. If your child frequently gets upset over minor things, you must try to help your child put things into perspective. Don’t feed into your child’s dramatization of minor circumstances. If your child starts to hit or gets out of control, reasoning with him may be very difficult. In this case, it’s best to hold your child by the arms and look him in the eyes. Tell him that you won’t allow that kind of behavior in your home (or wherever you are). You must be very firm and convincing when you do this. 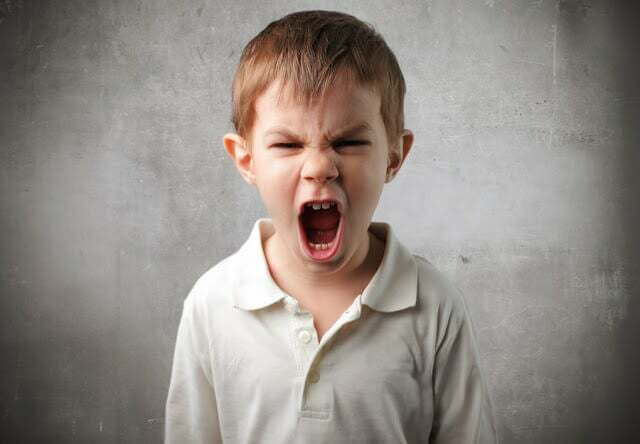 When your child won’t do what you are asking, you may feel the urge to shout or respond angrily. But the best thing you can do at this point is to step away, take a deep breath, and come back calmly. Calmly explaining to your child that you understand what she’s feeling is a good way to relieve tension. Tell your child that sometimes you get angry and feel overwhelmed, too, but you don’t kick and scream. This can help your child take a step back and reason. Speaking calmly to a child who’s upset will help calm her down. You can also rub her back, play with her hair, offer a hug, etc., to help her calm down. In fact, your child may be acting out because she wants some affection. Using positive discipline is one of the best alternatives recommended by family therapy specialists for helping your child learn to reason.